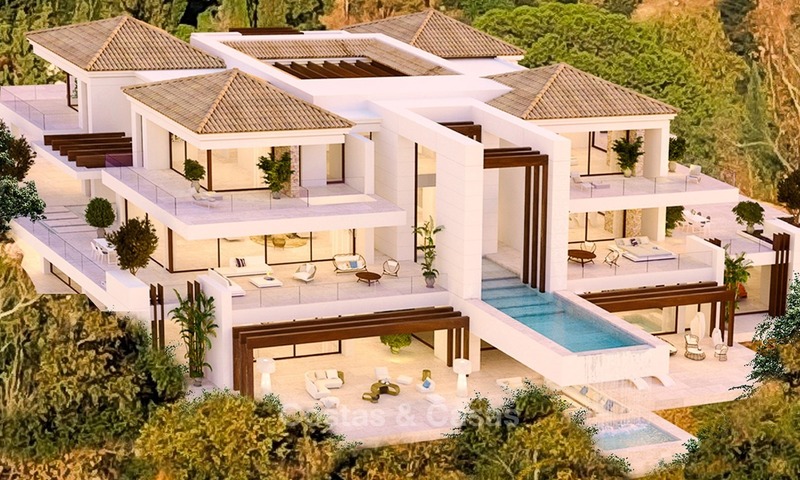 This sophistically designed villa with its elegant simplicity will offer you the ultimate lifestyle one has always dreamed off. South west facing. 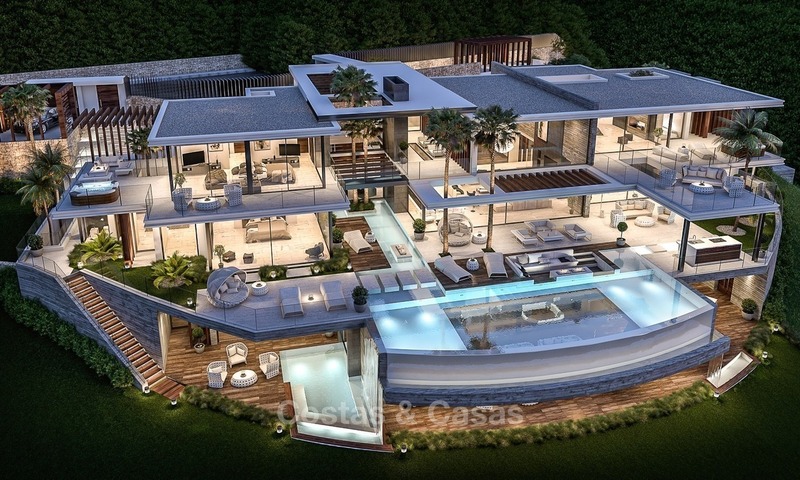 You have the opportunity to purchase this villa 30% below market price. 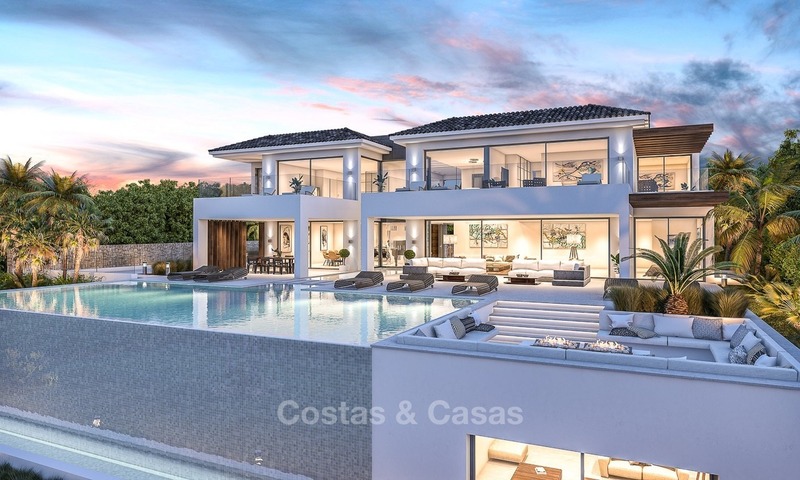 This spectacular, modern villa will be built in one of the most exclusive locations on the Costa del Sol, at one of the many golf courses in Benahavis, to enjoy the fantastic lifestyle that Marbella has to offer. 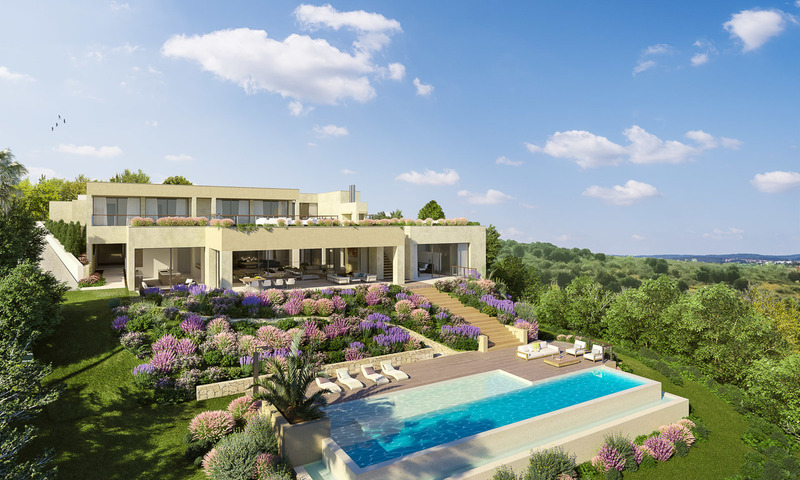 The villa offers panoramic views over the golf course, the mountains and the Mediterranean Sea to Gibraltar and Africa. 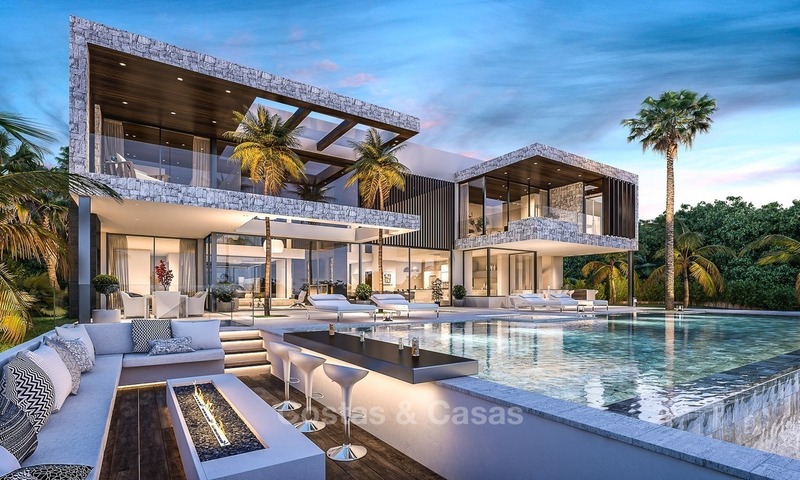 Spectacular, majestic contemporary villa. Highest standard finishing. Overflowing infinity pool accessible from all levels. New, contemporary style. 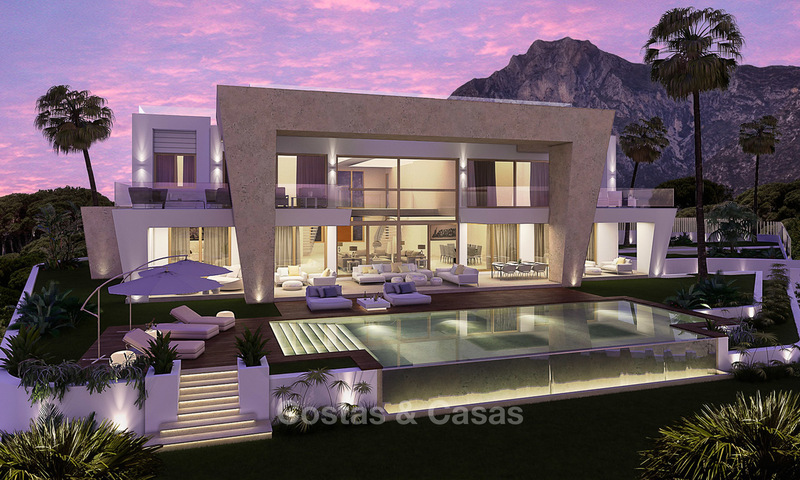 Very spacious with 6 bedrooms and 1000m2 built surface. 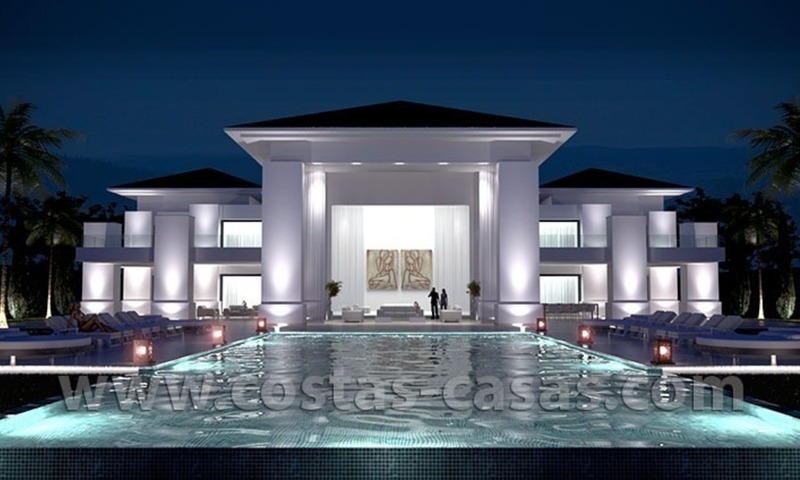 Indoor and outdoor pool, sauna and steam room. Completion is expected March 2019. 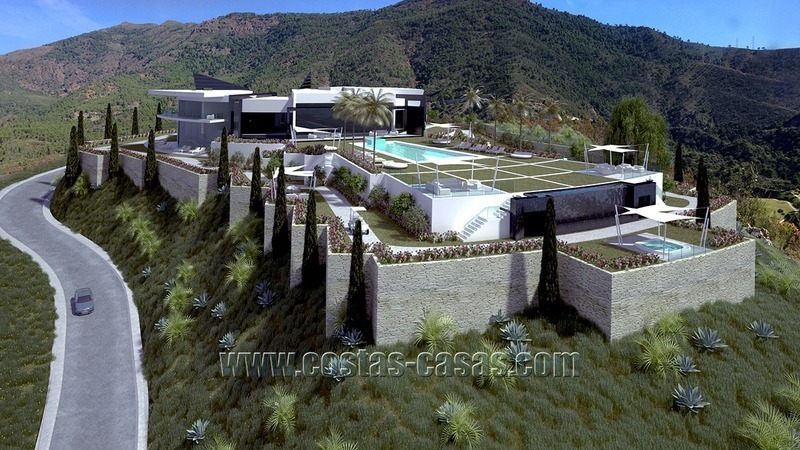 Several spaces can be adapted to the client´s own specific needs.